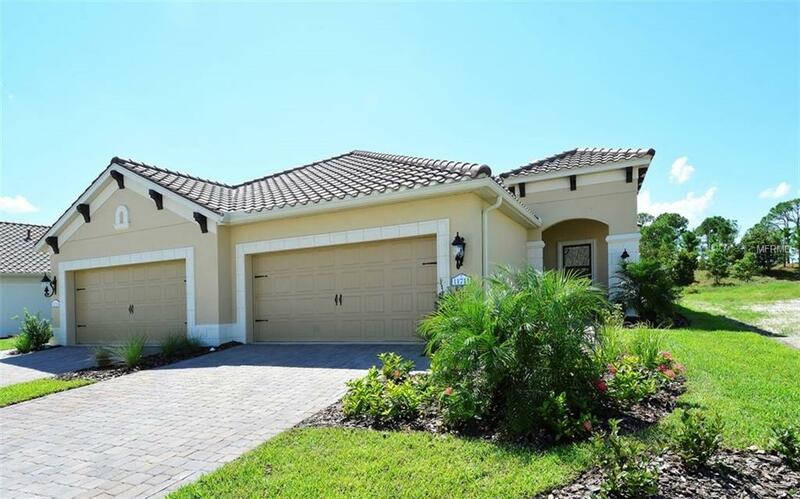 Beautiful new Villa home in award winning community of Grand Palm. This stunning home has a paver entry and driveway as you enter with 2 bedrooms, 2 bathrooms, and a large spacious Den with wood floors. The open kitchen layout is perfect for gatherings with a large island and dining space. This home has natural gas Stainless Steel appliances, bright White Cabinets, quartz countertops and a stylish backsplash. The Master features separate vanities, walk in shower and two closets. Enjoy entertaining on your lanai that is stubbed out for nature gas perfect for a outdoor kitchen setup. Stop in today to make this home your piece of paradise!